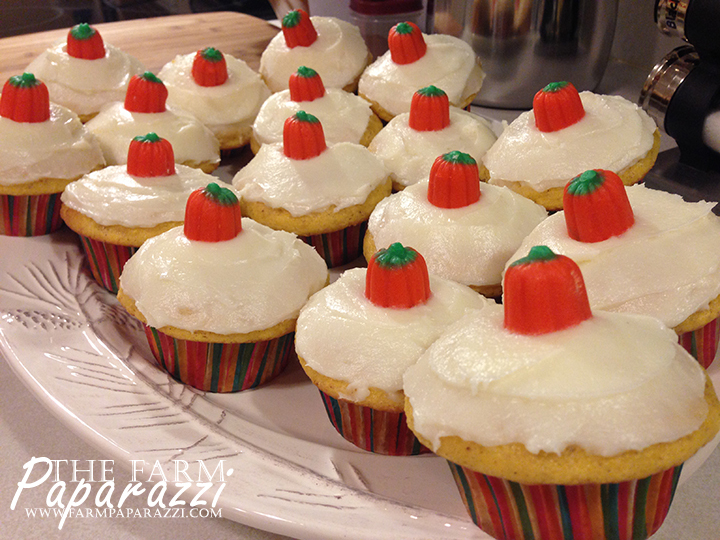 Pumpkin Cupcakes with Cream Cheese Frosting (recipe here). I made homemade pumpkin puree for the first time this year and this was my maiden voyage using it. Super easy and turned out great! 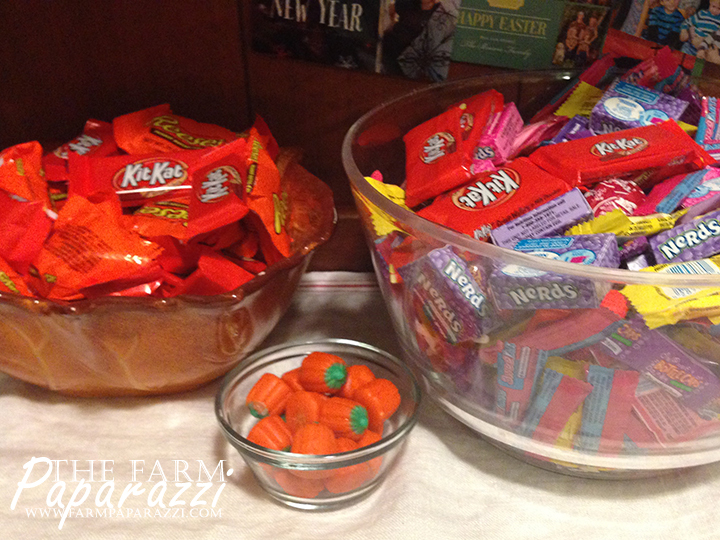 By the time Oct. 31 rolls around, I’m not always in the mood for Halloween. Sometimes it just seems like more work at a time when we’re busy getting crops out. But, this year I got excited to dress up with my pregnant belly. Who knows if I’ll ever be pregnant during Halloween again? So, putting together a simple costume really got me in the spirit. I bought a $5 orange shirt, some black felt and green pipe cleaners to dress up like a Jack-O-Lantern. The hat is the stem and the pipe cleaners are the vines. I used spray adhesive to attach the felt and at 32 weeks along, Little Girl Lauck filled out the pumpkin portion of the outfit quite nicely. 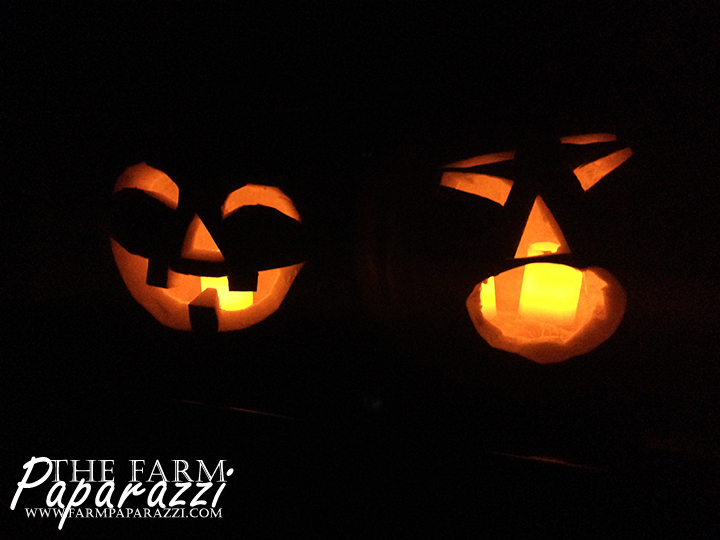 I also talked my husband into carving Jack-O-Lanterns with me. We’ve never done this together and we thought it was great fun! We raised the pumpkins in our garden (I had 34 in total!). 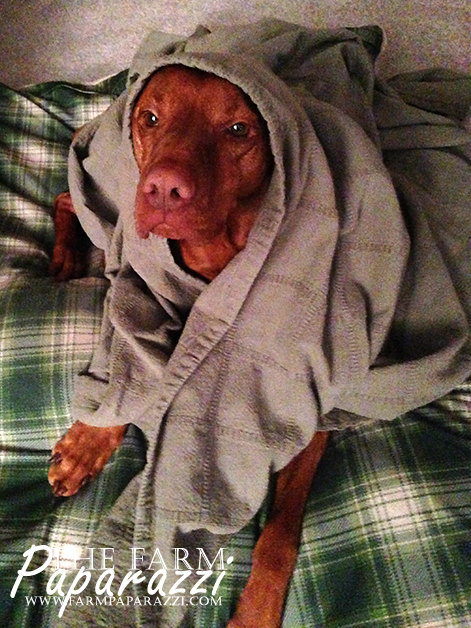 I think the convincing factor for him was the promise of roasted pumpkin seeds. It’s the best part of carving pumpkins. 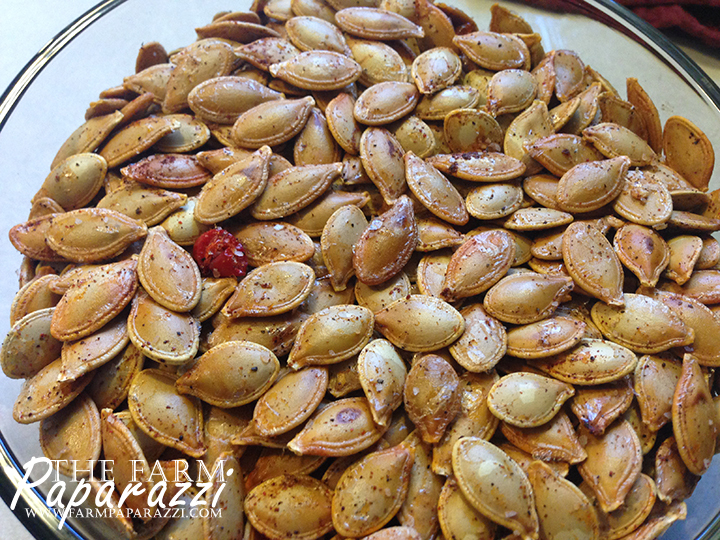 Here’s the link to the recipe for Jalapeno Pumpkin Seeds and several other yummy looking options. 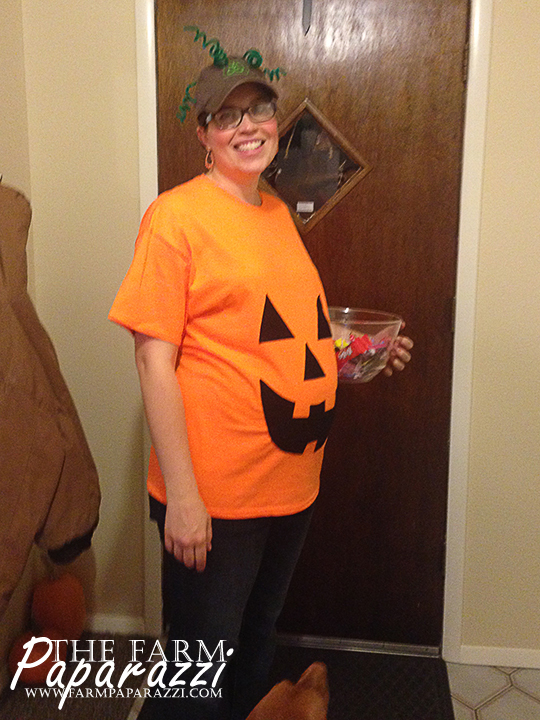 I got all geared up to give out candy. I get a kick out of seeing all the little costumes and since we live in town, we actually get quite a few trick-or-treaters. We live in a community where most kids say thank you and are a delight to interact with. And they come up with some great costumes! My favorites were Punky Brewster and a Lego Block. Clay, however, was not amused by the constant doorbell ringing and parade of strangers in startling outfits at his door. It was a stressful night for him. Did you pass out candy? Dress up? Hope it was a fun and safe day!